After a summer hiatus, some of Dubai’s best al fresco spots are reopening for the new season, and one we’re really looking forward to checking out is Shimmers. Located in Jumeirah’s Mina A’Salam resort, Shimmers is perched on the beachfront, and is one of the hotel’s lesser-known spots. 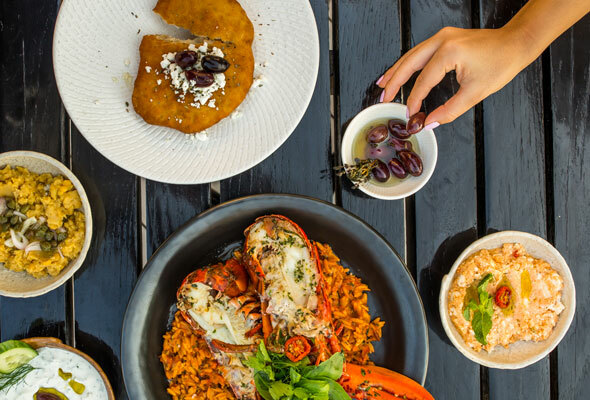 After a summer refurb, the Greek restaurant has just reopened its doors, and promises to bring a slice of Mykonos to Dubai. 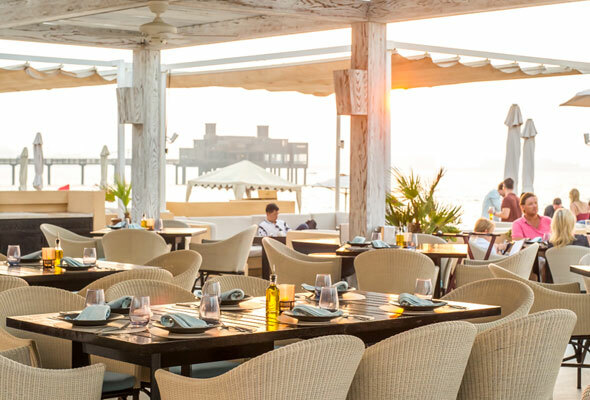 The golden colours have been replaced with whitewashed whites and blues, and the restaurant is split into a dining terrace and more laidback lounge where you can relax with your toes in the sand. The menu has had a freshen up too, and as well as an a la carte offering, promises ever-changing fresh specials. Highlights on the menu include Yiouvetsi Astakou, a traditional Greek Orzo pasta cooked with fresh lobster and Greek style roasted vegetables; Gamopilafo, a lamb stew accompanied with fluffy rice and Paidakia, tender lamp chops with Greek style sautéed potatoes topped with crumbled Feta cheese. As well as a classic cocktail menu, this season the restaurant will also offer a collection of Greek wines as well as Ouzo, Skinos and Tsipouro (traditional Greek spirits). A dedicated shisha menu will also service the lounge, with a variety of flavours on offer. So if you didn’t make it to Mykonos this summer, fear not, it looks like Shimmers is bringing Mykonos to you.